Granite sinks in beautiful colours to fit all kitchen tops! 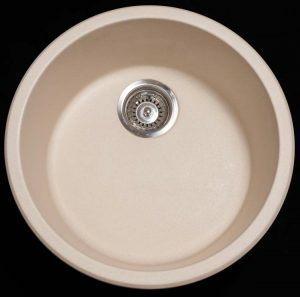 Granite sinks or granite stone kitchen sinks are made from 75% extremely hard silica stone. 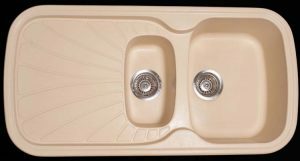 The high stone content gives the stone built kitchen sinks a slightly speckled, modern and natural granite appearance. 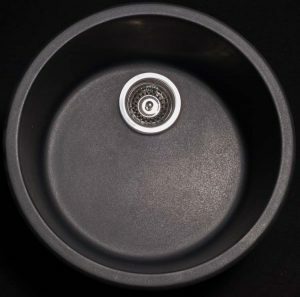 Granite sinks are highly resistant to scratches, staining, chipping and heat (up to 200°C). 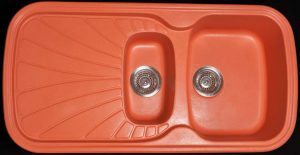 The sinks are easily cleaned with Handy Andy and a Scotch-Brite sponge. 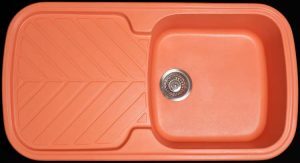 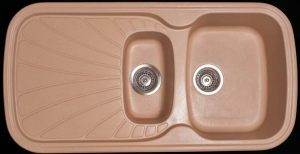 The stone kitchen sinks are solid throughout the material, so there is not coating that can chip. 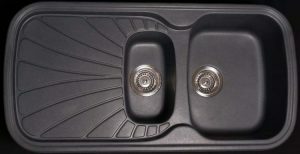 Since Granite kitchen sinks are non-porous they are very hygienic and are highly resistant to staining. 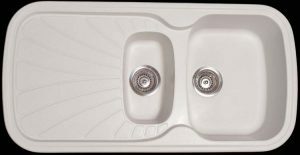 Any sink in the Stone Range can be either installed as a drop-in kitchen sink or under mounted. 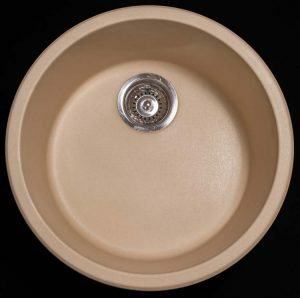 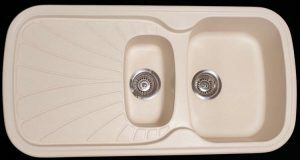 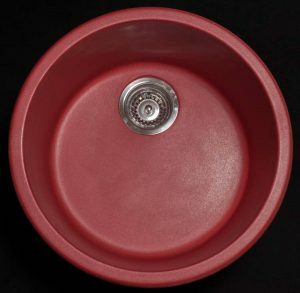 The price of the stone built kitchen sinks are the same for all colours in each design range. 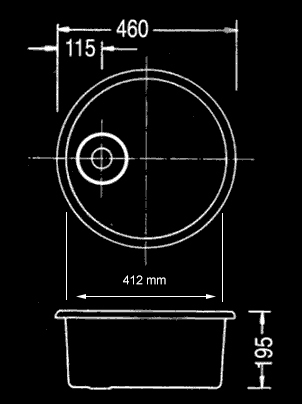 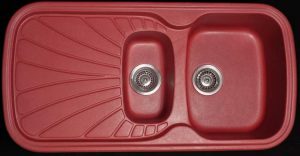 Included in the sink are fitting instructions as well as fixing drill bit with instructions. 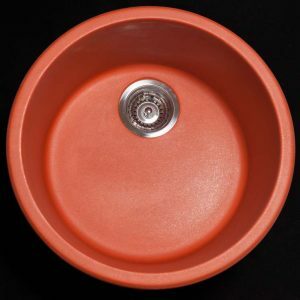 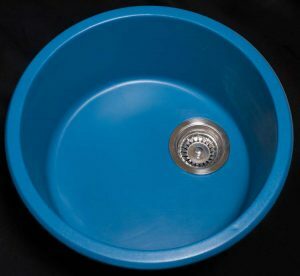 Basket strainer waste 90mm : R 270.00 Incl VAT each. 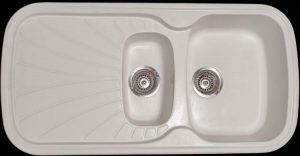 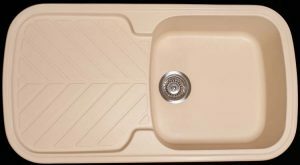 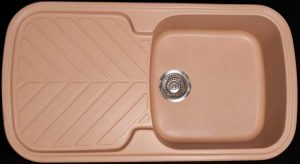 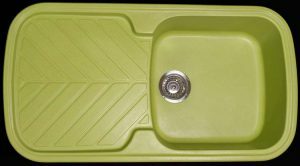 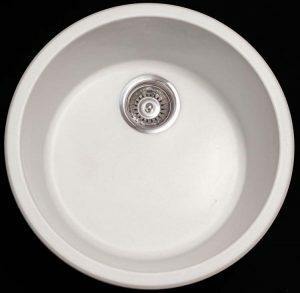 Delivery in Gauteng per sink : R193.80 Incl VAT. For delivery to all other regions in South Africa, please ask for a quote. We also export to other African Nations. 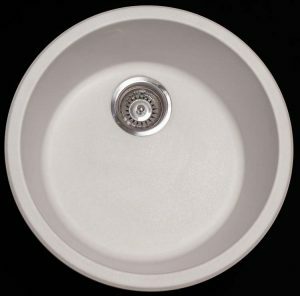 IMPORTANT NOTICE: It is very important that your sink is thoroughly checked before signing for it (in front of the courier), to make sure it has not been damaged during delivery If there are any signs of damage in transit you must not accept delivery – but return to sender. 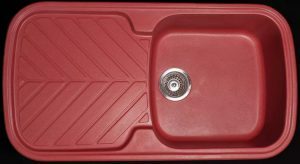 If the courier does not want to return to sender, please just clearly endorse all/any damages on the waybill, as the insurance will only pay out if the damage is endorsed on the waybill. 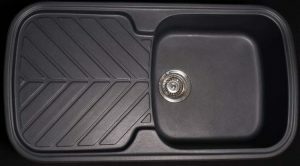 This is very important, if the waybill is not endorsed, they do not pay out – no matter the circumstances.